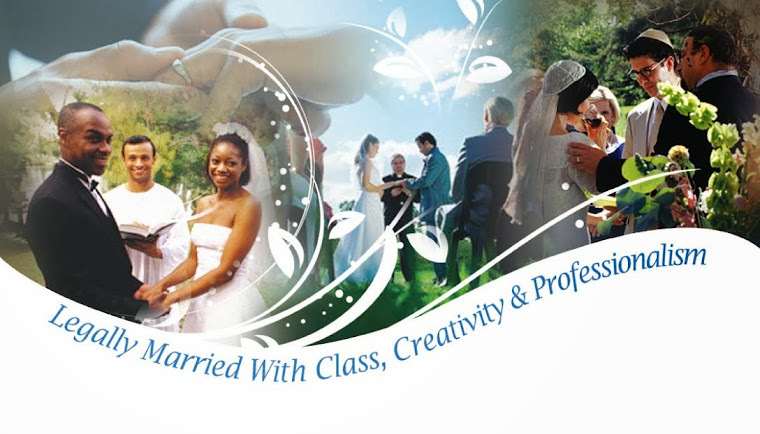 Orange County Wedding Officiants -The Clergy Network Of Southern California- www.legallymarried.com: Say What? Who Is Listening To The Wedding Ceremony Anyway? Marriage Ceremony Levity Or Truth? Say What? Who Is Listening To The Wedding Ceremony Anyway? Marriage Ceremony Levity Or Truth? A cousin of mine once said, “A good speech should be like a woman's skirt: long enough to cover the subject and short enough to create interest!” Have you been to a wedding ceremony lately? I have, in fact, at them every week. For the sake of disclosure, I am a Celebrity Wedding Ceremony Writer. Now that this is revealed here comes a polite but honest discussion about the wedding ceremony “goings on”. Truth-be-told, wedding ceremony words are often boring, terribly written, rambling or inappropriate, and so forth. Not ours, of course, but the one that I read recently from another officiant unrelated to our Clergy & Wedding Officiants Network. Most people do not care to speak publicly. And, when, a bride and groom, something about this fear or disinterest translates into disaster. Is there a societal expectation which assures a well presented wedding ceremony? I wish there was! And, if there were, so much of what traffics itself as a well-written marriage ceremony wording would be banned, and the seller jailed for indecent verbal exposure! Seems harsh, but really, if you were able to comment unfettered as “Anonymous” what would you really say? 1. The text was devoid of sectional “Headings”. Important for the one reading to assist in the flow of presentation. Without “Headings” it is far too easy for the reading officiator to miss sections, or to import the wrong feeling to a section. Also, important when working toward the writing of the final ceremony draft. This, because continuity and flow for reading is easier to calibrate. 2. The ideas presented in the text were out-of-order. Honouring the deceased groom’s mother toward the end of the ceremony. And, recognizing the couples’ children at an awkward juncture. 3. There were no “Transitional Statements”. These are necessary, so that what was said before in an adjoining section, coalesces with the next section’s introduction. It also prepares the presenting officiator for the next segment, as to verbal cadence and feeling. Transitional Statements also have other important reasons. 4. There was no “Sign-posting” as to who said what or whom was being addressed. 5. It was not paginated for oral presentation in any way. Including as to the size of the print. The print should be larger in the officiator’s presentation draft. This assists in reading without omission. Also, the sentences were not “double-spaced” or sections spaced properly. This also acts in prevention of missing a word or sentence or segment. 6. The wording was redundant at best. A good ceremony takes hours to write. Remember my cousin’s quote at the start of this article. In short, as a former Speech Professor, currently a Wedding Officiator, the received officiant’s text was a disaster waiting to happen. In fact, my client was confused. And, this is why this couple was now my client. Why Does This Happen? Should You Really Care? Either people don’t know any better or don’t expect any more. Let’s face it; the wedding ceremony has become a formality, something that people hope to get through! But, say it is not so! The words of a wedding ceremony should be at least as beautiful as the cake, the bridal gown, and anything else of beauty on the wedding day. 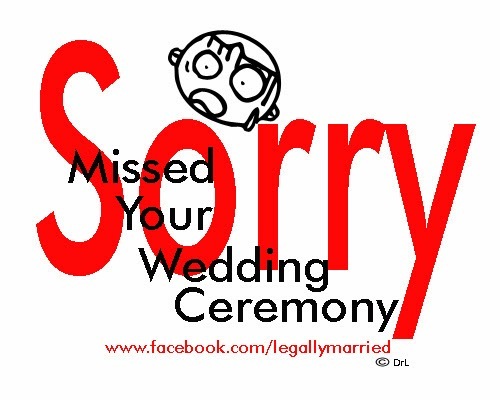 The poor quality wedding ceremony wording and presentation does not need to be normative. But, in Southern California it is very usual occurrence. So, I ask…. What are your suggestions on making the wedding ceremony more interesting? Should Internet Wedding Officiator Ordination groups be banned? (These groups do not require Wedding Officiants to be experts, but profit through ordaining anyone!) Should professional writers write the wedding ceremonies, and the officiants simply learn them? Should Wedding Officiants’ be certified in “Public Speech”?